Agent and relay installers are not required; they can be downloaded via the manager. Check compatibility: Start the installer. Before it installs anything, it will check your environment. This will verify system requirements, and that all your deployment components are compatible with the new version of Deep Security Manager. The readiness check will generate a "to do" list of compatibility issues (if any) for your specific environment. The readiness check also customizes this guide for your environment's needs when you click View My Upgrade Guide. Before you install, all sections under Prepare your environment must be complete. With Microsoft SQL, there's one main database and an additional database for each tenant. After you install Deep Security 10.0 , you may be able to optimize performance. See Configure Deep Security Manager memory usage, Low disk space alerts, and Performance profiles. Once Deep Security Manager is installed, when you deploy new agents, appliances, and relays, the manager will automatically apply firewall rules to open their required ports. Add an A recprd, an AAAA record, or both on your DNS server so that the manager, agents, appliances, and relays can perform DNS lookup queries. If you are deploying multiple server nodes of Deep Security Manager for a large scale deployment, a load balancer can help to ensure even distribution of connections with Deep Security Agents and Virtual Appliances. Load balancers with virtual IPs can also provide a single inbound port number such as TCP 443, instead of the multiple port numbers that Deep Security normally requires. Requirements vary by database type. See Prepare a database for Deep Security Manager. As Deep Security 10.0 Update 2 added support for Microsoft SQL Server Express in certain limited deployments. For details, see Microsoft SQL Server Express considerations. If the database is not compatible, you must migrate to a supported database before you can install Deep Security Manager 10.0. If you are upgrading Deep Security, to continue to store new data until you are ready to install Deep Security Manager 10.0, migrate to a database that is compatible with both current and future software. For databases supported by each version, see both the System requirements for this version and the install guide for older versions (http://docs.trendmicro.com/en-us/enterprise/deep-security.aspx). For example, if you were currently using an Oracle 10g database with Deep Security Manager 9.5, you would migrate the database to Oracle 11g or 12c first (since it is supported by both Deep Security Manager 9.5 and 10.0), and then upgrade to Deep Security Manager 10.0. Migrate to a database type that's supported by both your current Deep Security Manager version and Deep Security 10.0. To support multiple nodes of Deep Security Manager, you must use either a Microsoft SQL Server or Oracle database. Microsoft SQL Express databases are intended for testing only, and are not supported for multi-node deployments. If your server's operating system (OS) is not supported by Deep Security Manager 10.0, you must install a supported OS before you can install Deep Security Manager. If you have an existing multi-node deployment, depending on whether you have a load balancer, you might be able to migrate servers to another OS without downtime. Add another manager node that is running a newer OS supported by both Deep Security Manager 9.5 and 10.0, such as Windows Server 2012 (64-bit). If your manager is old and the installer does not support upgrading it, the installer will prevent you from continuing. You must upgrade the manager to a supported version first. After that, you can install Deep Security Manager 10.0. Deep Security 10.0 requires 64-bit relays. After you have upgraded the manager, to use new features, you will upgrade the relays again to Deep Security Relay 10.0.
vCNS — vCloud Networking & Security (vCNS) is not supported. If you have legacy vCNS infrastructure for agentless anti-malware and integrity monitoring with Deep Security Virtual Appliances, VMware has discontinued support, so Deep Security Manager 10.0 cannot support it. You must update vCNS to VMware's equivalent new solution: NSX. NSX — NSX 6.2.4 or later is required. If you are using NSX Manager 6.3.0 or later and Deep Security Manager 10.0 without any updates, check your failOpen settings before you deploy new appliances. See Configure failOpen. Alternatively, upgrade your Deep Security Manager to version 10.0 Update 1 or later, where the failOpen issue has been resolved. Deep Security Virtual Appliances — Deep Security Virtual Appliances 10.0 or later are required. See the minimum system requirements. Since it would break part of your deployment, the installer will warn you if you have incompatible versions of virtual appliances, although the installer will not stop installation if a specific appliance is not compatible. (This allows you to proceed if the virtual appliance isn't used, or is offline.) However, the installer will not allow you to continue if you have incompatible versions of ESXi or vShield Manager or NSX Manager. Back up the vCenter database. Refer to your VMware documentation for instructions. Methods vary by version and storage. Then upgrade vShield Manager or older NSX versions to NSX 6.2.4. If you don't have legacy vShield Manager or its components (such as the filter driver) and you have NSX 6.2.4 or later, skip this step. You must replace vShield Manager with NSX. Otherwise any configured agentless protection won't work after you upgrade to Deep Security 10.0. This could compromise the security of your protected computers. On every protected guest VM, upgrade VMware Tools to install the Guest Introspection driver. VMware vShield Endpoint Driver in VMware Tools 5.x will become Guest Introspection in NSX 6.2.4 or later. On NSX Manager, deploy new Deep Security Virtual Appliances onto each ESXi. If using the vShield Endpoint or Standard license, also manually sync Deep Security Manager with vCenter or vShield Endpoint or Standard to retrieve the NSX security group membership and start protection. Create NSX security policies (guest introspection policies). 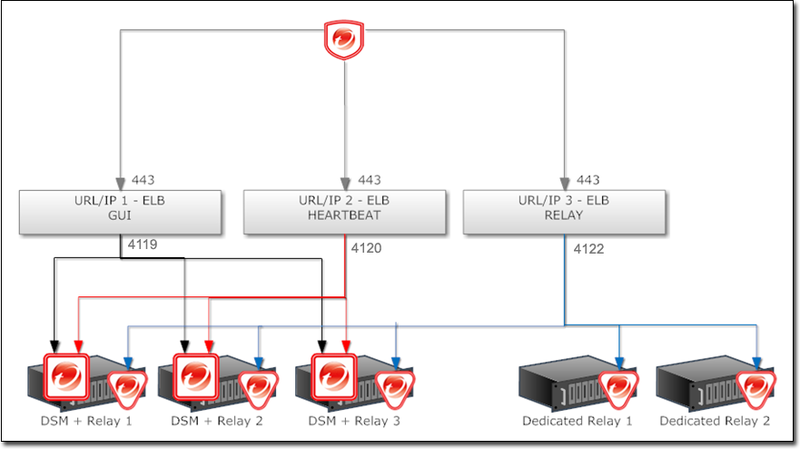 Firewall features can now be provided by the NSX Distributed Firewall. You can disable the firewall in Deep Security 10.0. Alternatively, you can exclude VMs from the NSX Distributed Firewall, and use the Deep Security firewall instead (see Exclude Virtual Machines from Firewall Protection). If you are upgrading, after you have installed Deep Security Manager 10.0, if you want to use the new features, you will upgrade your virtual appliances, agents, and relays again, to Deep Security 10.0. So if you need behavior like the old coordinated approach, you might want to upgrade directly from Deep Security 9.5 to 10.0 — not from 9.5 to 9.6 and then 10.0. If DRS moves a VM from an ESXi that has an appliance to one that doesn't, the VM will become unprotected. If the VM then returns to the original ESXi, it still won't be protected again unless you create an event-based task to re-activate and protect a VM when vMotion moves it to an ESXi with an appliance. For more information, see Create an event-based task. After you have upgraded the manager, to use new features, you will upgrade the agents again to Deep Security Agent 10.0. If you are installing Deep Security Manager on Linux with iptables enabled, also configure the iptables to allow agents' heartbeat port numbers and management traffic. For high availability and scalability in larger deployments, use a load balancer, and install same version of Deep Security Manager on multiple servers ("nodes"). Connect them to the same database storage. All nodes that use the same database must have the same software version. This ensures data compatibility, and that how they handle protected computers is consistent. To avoid high load on database servers, don't connect more than 2 Deep Security Manager nodes to each database server. Check both Deep Security consoles to confirm they display the same data from the protected environment. Shut down or disable the network interface on the operating system of one Deep Security Manager. The second Deep Security console should still function and display data. Start or enable the first Deep Security Manager again. Shut down or disable the network interface or the operating system on the second Deep Security Manager. The first Deep Security console should still function and display data. Deep Security requires at least one Deep Security Relay. Relays distribute security updates to protected computers. Upgrade to Deep Security Manager 10.0before you upgrade relays, appliances, and agents to 10.0. They must be of the same version or less than their manager. If they aren't, they may not be able to communicate with the manager until you upgrade it, too. For Linux distributions that use the dpkg package manager such as Debian and Ubuntu, the command is the same. For Linux distributions that use the rpm package manager, such as Red Hat, CentOS, Amazon Linux, Cloud Linux, and SUSE, the command is the same. You can upgrade agents via Deep Security Manager. If network connectivity restrictions prevent you from installing the agent software remotely, you can manually install the agent locally. With root permission, copy the agent installer package to the computer. Unzip the package using gunzip. If the computer runs Solaris 10, create an installation configuration file named ds_adm.file with the following content, and then save it in the root directory. Run the command to install the package. For a few platforms, Deep Security Manager 10.0 supports older versions. Security update package formats vary by version. By default, to conserve disk space, Deep Security Relay will not download and distribute these less common packages. To enable it, go to Administration > System Settings > Update. Select Allow supported 8.0 and 9.0 Agents to be updated. Because they are not Deep Security Agent 10.0, older agents don't support new features. To use new features, you must install Deep Security Agent or Relay 10.0. If you don't require the newest features, or if you need compatibility with legacy systems, however, you can install any supported version. For supported Deep Security Agent versions on each platform, see System requirements. Most steps are the same, whether you want to install a Deep Security Agent or Relay. 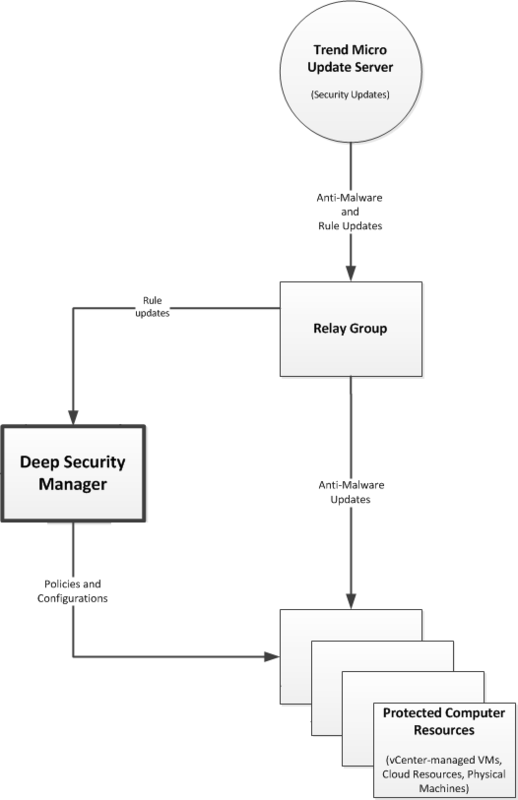 Deep Security deployments require at least one Deep Security Relay to distribute updates. If you did not create one on the same server while installing Deep Security Manager, then you must enable the relay feature on at least one of your agents. Deployment scripts: Upload and then run the installer using Linux or Unix shell scripts or Microsoft PowerShell. For instructions, see Use a deployment script. Template: Include the agent in your VM template. See Bake the Deep Security Agent into your AMI. If you want to enable the agent to act as a Deep Security Relay, see Configure relays. If you require security update packages for Deep Security Agent 8.0 or 9.0 for AIX, HP-UX, or Windows 2000, go to Administration > System Settings > Update and select Allow supported 8.0 and 9.0 Agents to be updated. Deep Security Manager can notify you when important system events occur. Go to Alerts and Administration > System Settings > Alerts (see Alert settings). Alternatively, if you have an external SIEM, you can forward events to it. Go to Policies > Common Objects > Other > Syslog Configurations and Administration > System Settings > Event Forwarding (see Forward events to an external Syslog or SIEM server).